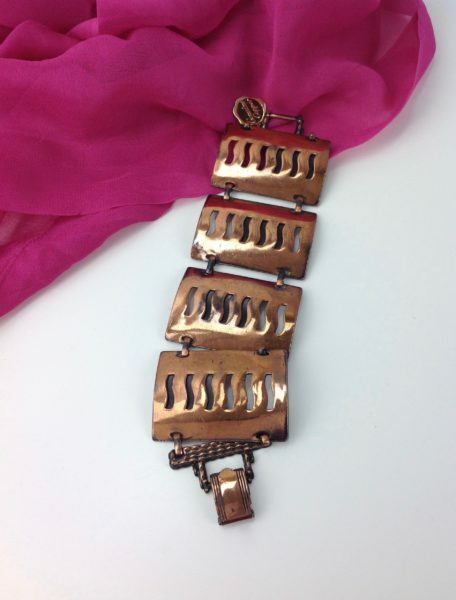 Beautiful solid copper bracelet from the 1950’s. 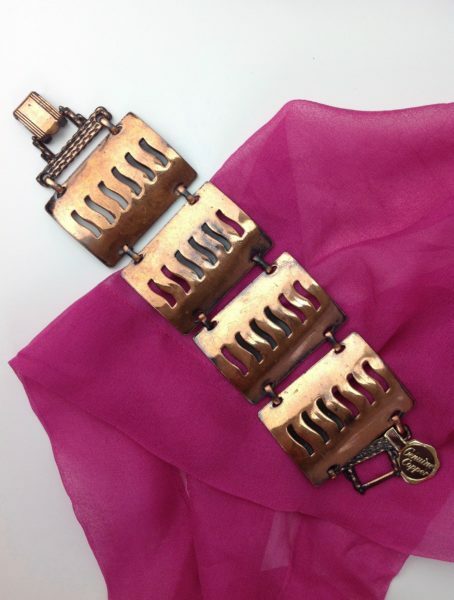 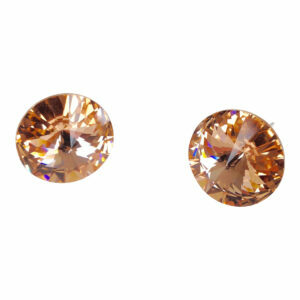 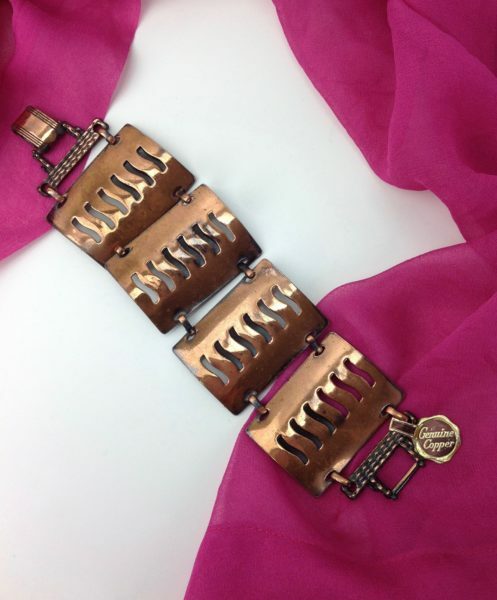 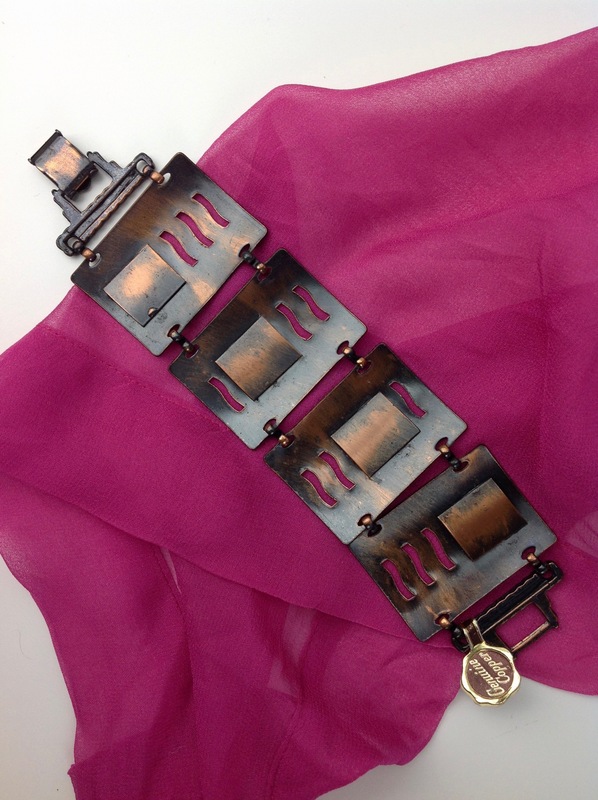 The interesting cut-outs design on the copper links add style to the unique bracelet. 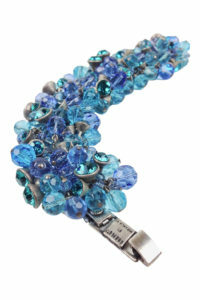 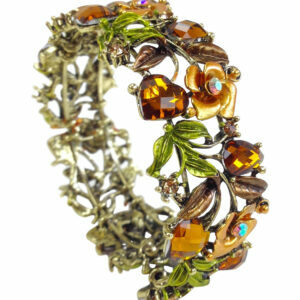 This copper bracelet has not been polished to show the natural vintage patina on the metal.